A strong current of a river white with foam and marked with pencil for better contrast. Large boulders lie around the river and near the shore with some bare trees growing on each side and a hill visible in the background. 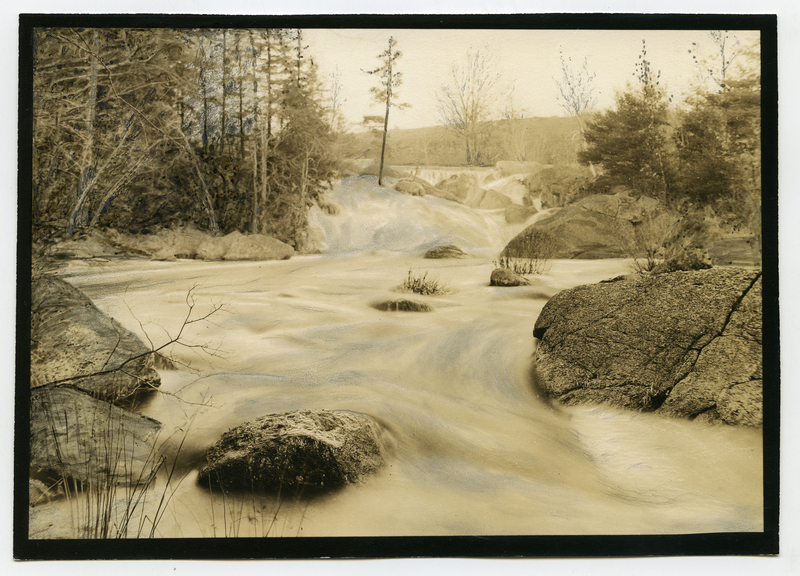 Johnson, Clifton, 1865-1940, “Contoocook River northwest corner of Antrim,” Digital Amherst, accessed April 24, 2019, http://digitalamherst.org/items/show/3555.